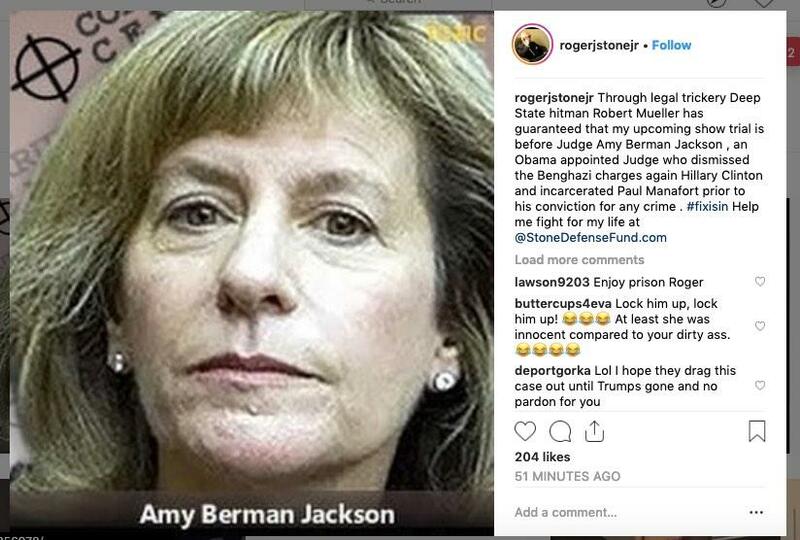 Former Trump adviser Roger Stone was given an epic slap on the wrist by a D.C. judge on Thursday after Judge Amy Berman Jackson slapped him with another gag order following an Instagram 'death threat' levied at the Judge. Apologizing for violating her previous gag order, Stone said on Thursday: "I abused the order for which I'm heartfully sorry," adding "I'm kicking myself over my own stupidity but not more than my wife is kicking me." Stone then blamed one of his five volunteers for downloading the image he posted. "Mr. Stone, I'm not giving you another chance. 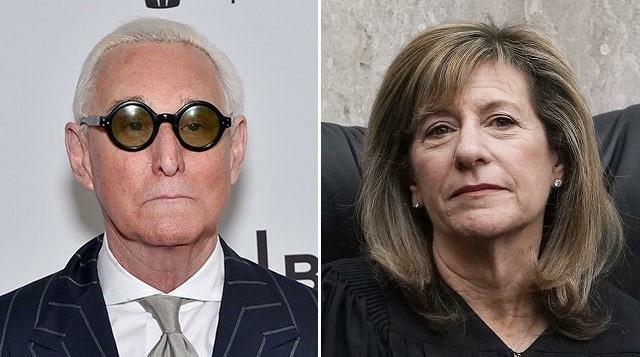 I have serious doubts about whether you've learned any lesson at all," said Berman Jackson, who added that she wasn't buying Stone's apology - and would throw him in jail if he violates the new gag order.